Power-Sonic batteries are built with advanced technology, providing extra cranking power, increased service life, protection against acid leakage and corrosion and optimum performance in extreme weather conditions. Factory activated, non-spillable sealed battery means it never needs water, works in any position and never spills acid on your driveway. Just put the battery into your vehicle and you are ready to ride. 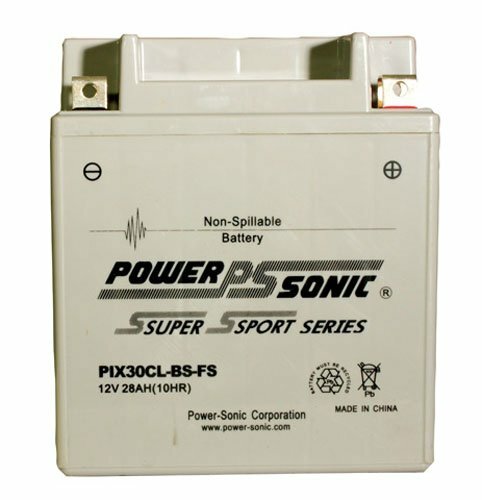 Battery measures 6-9/16L x 5W x 7-5/8H.